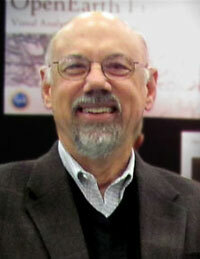 A new book that for the first time focuses on the potential to merge the latest advances in computer technologies with the earth sciences has been published, with researchers from the San Diego Supercomputer Center (SDSC) at the University of California, San Diego (UCSD) co-authoring chapters or serving as co-editor. Called ‘Cyberinfrastructure for the Solid Earth Sciences’, the book is co-edited by G. Randy Keller, Professor and Edward Lamb McCollough Chair in Geology and Geophysics at the University of Oklahoma, and Chaitanya Baru, a distinguished scientist at SDSC. More information about the 388-page hardbound book, published by the British-based Cambridge University Press, can be found here. Geoinformatics provides an informatics framework for scientific discovery through the integration and analysis of earth-science data and applications. As a result of significant work in this area, geoscientists now have at their disposal on-line data archives and databases, a variety of community-based software tools, and access to high-performance computers and other resources to address complex questions related to the structure, dynamics, and evolution of the solid Earth through time, as well as the processes that act upon and within it from the near surface to the core. “The study of complex phenomena in earth, ocean, and atmospheric sciences all require on-demand access and integration of heterogeneous data from a wide variety of sources and disciplines. 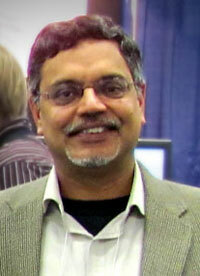 This is where cyberinfrastucture – an integrated, often Web-based network of computer resources and expertise – comes into play, helping geoscientists develop better and more refined models using a range of both small and large heterogeneous data sets,” according to co-author Baru. “Advanced data cyberinfrastructure is needed to provide these capabilities and to support geoscientific research and discovery in areas that affect us all, from natural resource studies and natural hazard assessment and forecasting to environmental monitoring and climate change studies, just to name a few,” said Baru. Baru and Keller believe that supporting the next generation research and education in the geosciences requires a new information infrastructure and highly collaborative modes of operation to address the many challenging problems that must be overcome to understand Earth systems. Indeed, there is now widespread recognition that successfully addressing these problems requires integrative and innovative approaches to analyzing, modeling, and developing extensive and diverse datasets. Six of the 24 chapters in the book are co-authored by SDSC researchers, whose contributions cover a range of topics. They include Sriram Krishnan (comparative cyberinfrastructure), Ilya Zaslavsky (hydrologic information systems), Chris Crosby and Vishu Nandigam, (high-resolution topographic data) and Amit Chourasia (advanced visualization). The Geoinformatics initiatives described within Keller and Baru’s book enable manipulation, modeling and visualization of data in a consistent way, and how this is helping to develop integrated Earth models at various scales, from the near surface to the deep interior. 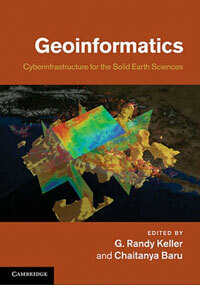 The book also contains a series of case studies to demonstrate computer and database use across the geosciences. Chapters are thematically grouped into sections covering data collection and management; modeling and community computational codes; visualization and data representation; knowledge management and data integration; and web services and scientific workflows. Geoinformatics has emerged as an initiative within the U.S. National Science Foundation’s (NSF) Earth Sciences Division to address the growing recognition that Earth functions as a complex system, and is an important component of NSF’s new initiative on a Cyberinfrastructure Framework for 21st Century Science and Engineering (CIF21). Other major geosciences organizations also have recognized Geoinformatics as a particular area of interest. Both the American Geophysical Union (AGU) and the European Geophysical Union have an Earth and Space Science Informatics focus area, and the Geological Society of America (GSA) has created a separate Geoinformatics division.